A lot of official Samsung Galaxy S10 cases are due to be launched alongside Samsung's new smartphones next week … but you don't have to wait that long, apparently. You can get an idea of ​​what Samsung's next big thing looks like right now. Today, a number of Samsung-made cases have leaked thanks to Mobile Fun and the quilts are designed for Samsung Galaxy S10, Galaxy S10 Plus and Galaxy S10e. 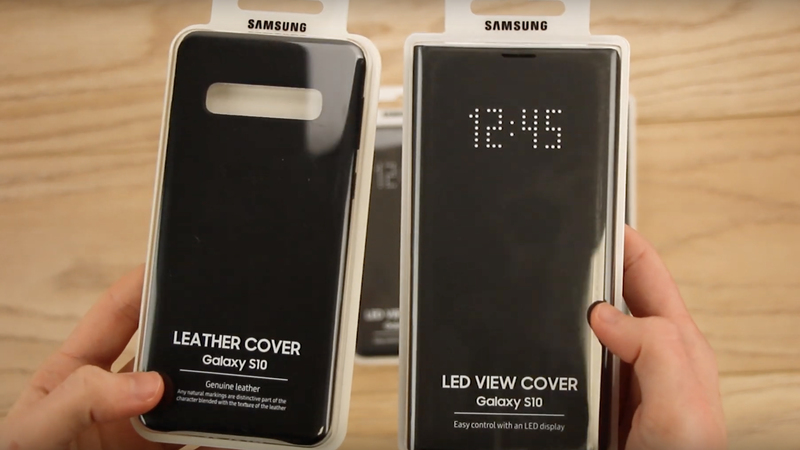 Specifically, you can see the flexible leather case and the LED image protection for the new Samsung phones. View Cover acts as a folio and lets time slip through. The black cases look like standard, but there are two surprise details that stem from today's Galaxy S10 case video leakage that caught our eye. First, the cheaper Galaxy S10e contains a gap to access the switch. Leakage has suggested that it will get a fingerprint reader on this side button, not under the glass as on the more premium Galaxy S10 and Galaxy S10 Plus. Second, the back of the box suggests that you have to take off the case of returning wirelessly charging the Galaxy Buds. Samsung seems to call this wireless power sharing. We will soon have more information about the official Samsung Galaxy S10 cases, because Samsung is due to reveal its smartphones on February 20.